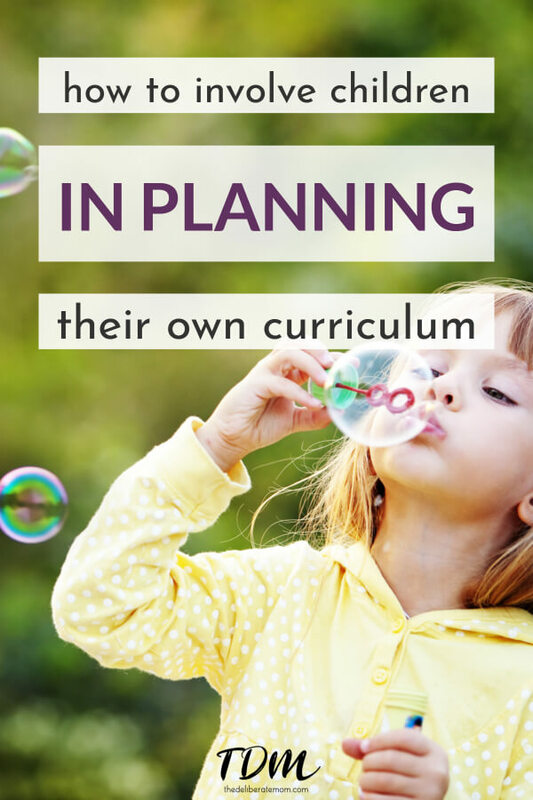 Why Involve Children In Planning Their Curriculum? It’s a simple and clear way to introduce a new project and/or topic. This process helps the teacher gauge the child’s current knowledge base. The involvement of the child often excites them about the project/unit. It makes learning more measurable (the teacher can look back and see how much the child’s knowledge has grown and/or shifted). Decide on a topic that your child will be learning about. Write down the topic on a large piece of paper or a dry erase board. Ask your child three or four simple open-ended questions about the topic. Record these on the paper/dry erase board as well. Document their answers/reflections under each question. Do not dismiss or correct any of their responses. Document everything they say without passing judgement. Try to prompt the child to help think of places to go (field trips) which may help them explore the topic in greater depth (i.e. go to the library and pick out science books about snow, go sledding at a neighbourhood hill, etc.). 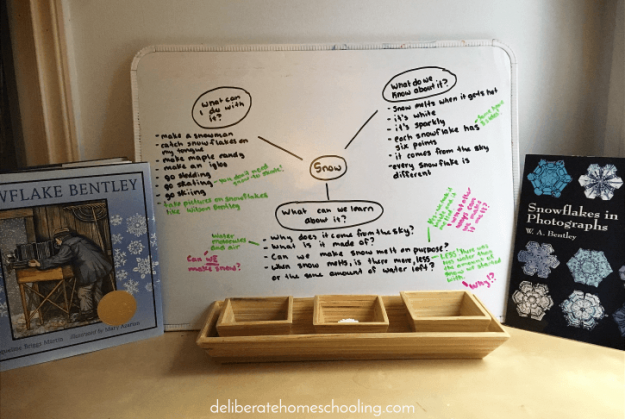 Display the documentation in a prominent location so that the child can revisit it and reflect on it. Make a list of ways in which curriculum areas can be met (i.e. for social studies, the child may go to their local library and consult with a librarian about books on snow; for science, the child may look at snowflakes with a magnifying glass; for math, the child may add/subtract snowflake cutouts, etc.). As the child explores the topic/unit, they may start answering their own questions. Document these as well (preferably on the same flowchart, using a different colour). If they have new questions as they investigate the unit, make sure to add those questions to the flowchart too. When the project is done/complete, review the flowchart with the child. This reinforces what they have learned and gives them a sense of achievement. Document the flowchart (i.e. take a photograph of it at the beginning of the planning process and at the end of the project). Sometimes a flowchart of one topic may serve as a springboard for another topic. For example, exploring snow might lead to an interest in winter sports or the Winter Olympics. A whole new flowchart can then be created to explore the newest topic. I hope this posting helps you consider the process and benefits of involving children in planning their curriculum. What a great benefit of homeschooling! My kids go to a school and don’t get to do this, but they are definitely much more interested in learning when they feel connected to the topic outside of just reading a textbook. There are so many benefits to homeschooling… and this is definitely one of them! Thanks for sharing Lisa! What a good idea! It makes sense to get them involved in the planning because I think it would make them more excited about learning. This is definitely my preferred way of approaching curriculum planning. Plus I find by engaging my daughter early on, she’s looking for/noticing our topic everywhere! It’s fabulous… she does almost all the “work” of planning! I love this! What a simple idea that can make a huge impact! I know when I’m involved in the planning phase it makes me want to participate in the learning, so I’m sure it’s the same for little kids. You are such a creative mommy with your homeschooling! Thanks Tiffany! I’m the same way… engage me in the planning phase and I’m all in! I love using this process with my daughter! I tried to leave you a comment with my Ipad but was impossible! I homeschool my son and I love the fact that we can bond, and he gets really excited when I come for the plan for the day… Thanks for sharing these great tips! I find visiting and leaving comments on blogs using any mobile device to be virtually impossible. So glad you enjoyed this. I’m thrilled to have connected with another homeschooling mama! Wishing you a lovely day. You are a fantastic resource for homeschooling parents! But I think you’re more than that- I think this is the type of thing that any parent can do, homeschooling or not, to encourage learning in the house. We cant simply rely on education systems to school our children, we have to facilitate a learning environment at home. Whether I homeschool Dylan in the future or not, I will definitely be using you as a resource. Awww, thanks Becky! I’m so glad that you find these posts helpful! It will surly help me and others too. Aww, thanks Z! I’m blushing. I’m thrilled you enjoy my posts. I certainly agree with Becky. I have been thinking long and hard about homeschooling Madison and you’re such a wealth of information. I will definitely need to go back through all your posts for inspiration when the time comes. This is such a great post as well and I definitely tweeted from both accounts. Thanks so much! I’m glad you find these posts beneficial. Thanks for sharing! I have a while before I need to consider homeschooling (military family here so it might be the most stable choice given our lifestyle) but I still find myself weighing the pro’s and con’s even now. I like your suggestions for involving the child in the process and I think it might be something useful as a parent in general to help a child explore their interests even if mine do end up going to a regular school setting. It’s so different here in indonesia, the government make curriculum for us. but thanks for sharing. I am a volunteer teacher sometime and this is very helpful advice for me. What a great idea! It makes everybody involved and responsible for their learning! Thanks so much for sharing and for linking up with us at the #homeschoollinkup! Great minds think alike!!! We are doing snowflake bentley too! We do it every other year, the kids love this unit!